The Consistent Greatness series returns, taking a closer look at quarterback weekly scoring. Hi, I’m James Simpson. You might remember me from such series as “Dynasty Diaries” and “Searching for Consistent Greatness”. Today, I offer an updated version of the latter – a look at the past three years of per-game production based on top 12 and top 24 baselines. Tom Brady was the ‘QB21’, based solely on his yearly finish. Le’Veon Bell finished as the RB3, yet scored more points per game than number one and two. AJ Green was our WR33, but fifth in points per game. Rob Gronkowski was the TE26, and so on, and so forth. Sure, end-of-year scores are interesting, but no league awards wins and losses based on yearly points – it’s about how much your team can put up week-to-week. 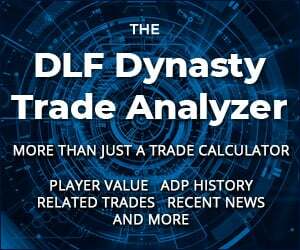 Therefore, every year I proceed to go through the game logs of each player in our ADP data to find out how often they put in a good performance not just last year – but in the last three. Were they consistent with a floor? Did they cram a ton of production into only a handful of games? Which players, who score well when they play, have we forgotten about because they haven’t played recently? On top of all this, what can we expect moving forward? What’s going to change or continue? Let’s take a deep dive. How do I measure the performances? Benchmarks for ‘QB1’ (top 12) and ‘QB2’ (top 24) performances are set based on what it took to be a QB1 or QB2 in every single week for the last three seasons, by combing through the weekly scores of the group. After they are set, I calculate how often a player hit the benchmarks and importantly, how that compares to the amount of games they’ve played. Why do I use baselines instead of simply using the top 12 and 24 each week? Because there are up and down weeks across the board, but I want to see who regularly puts up the scores. There can be major differences in what is traditionally called a “QB1 week” if we just based it on the top 12 scorers that week, because what if everyone puts in poor performances? Or a few players suddenly blow up and it takes a huge score to be in the top 12? Here are some examples. Andy Dalton was the QB13 (a “QB2”) in week 13 of the 2015 with a score of 26.1 points. In week 14, that same score would have been a top six finish and a “QB1” performance. Similarly, Trevor Siemian snuck in as a QB2 (QB24) with just 11.8 points in week seven of last season while Blake Bortles was QB13 with 19.6. Later on in the year in week 12, Josh McCown was the QB25 with 20.1 points. I’d take McCown’s ‘QB3’ performance over either of those QB2 performances. This is why I take a closer look. 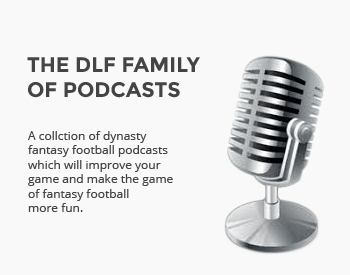 All of the quarterbacks from the March DLF ADP data are included, and I added some who are worthy of consideration in 2QB and superflex leagues – Alex Smith, Colin Kaepernick, Mike Glennon, Carson Palmer, Brock Osweiler, Jay Cutler and Nick Foles. We are two years into Jameis Winston’s career, and he’s finished in the top two on this list both times. He still hasn’t had a stinker (no single-digit games in any of his 32 games), and it’s mighty impressive. Kirk Cousins came up big in 2016, with a 100% score and a low of 16.9. However, who will he be throwing to in 2017? Philip Rivers, despite LA San Diego’s woes, scored 16.7 or over in all but one game in 2016 (without Keenan Allen and Danny Woodhead). He hasn’t shown signs of slowing down on the field. Carson Palmer had his two best seasons, followed by a bad one. He’s still right up there, and will certainly be a bargain if still the starter next season (he’s going undrafted). There are mostly usual suspects on this list, but Tyrod Taylor and Blake Bortles stand out. Notice the low QB1 percentages – we’ll get to that soon. 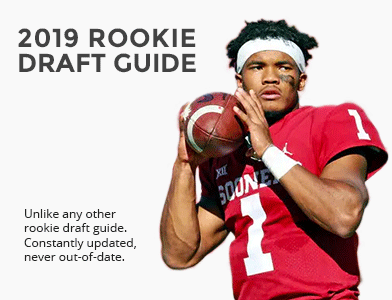 Although we’ve seen a few recent rookie stars, we should never make a complete evaluation of a player in their first year – especially a quarterback. So, the rookies get a pass. Nick Foles was really bad in LA St Louis, but strangely enough his one QB1 week came against Seattle. I hope it doesn’t fool a team into chasing him as a starter. Marcus Mariota is the shock inclusion. He’s been extremely erratic and unpredictable so far. For comparison’s sake, Jameis Winston has a 30% higher rate of being in the top 24, but they have scored almost exactly the same amount of points per game (Mariota – 21.4, Winston – 21.5). This is where Andrew Luck separates himself from the pack. As well as the QB1 percentage leader, he’s only had one game of under 16.1 points in the last three seasons, and that was one in which he was pulled at half time (week 16 of 2014). Mariota makes up a little for his lack of top 24 production with more big weeks. Again, Carson Palmer does have QB1 potential if he’s back and starting. Dak Prescott had a great mix of games in his first season. We should be very excited as this list mostly belongs to seasoned veterans. 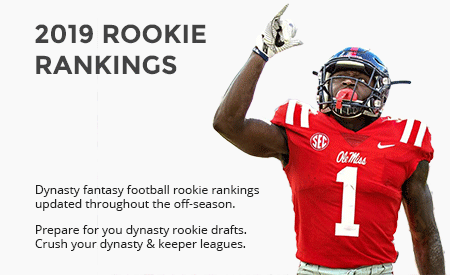 Blake Bortles doesn’t want to be on this list, but is it all bad? As bad as Bortles is, he has only missed the QB2 baseline twice in past two years (and one was a week 17 matchup). At least the garbage man always delivers. Matt Ryan scored no less than 17.4 in every game in 2016 – being a good QB2 is generally his floor. Look at the state of Brock Osweiler’s QB1 percentage. Two in 23 games? It’s bad. If you’re too busy being a QB1, this is fine. Aaron Rodgers either goes big or goes home (as do the rest of our star veterans). If you’re wondering about Mike Glennon – Kirk Cousins had similar numbers in his relief play before getting the starting gig. The top four and Cam Newton are likely no surprise, but Ben Roethlisberger and Kirk Cousins may be. Mariota again shows how he’s been making up for weekly inconsistency – with huge weeks dotted in. Colin Kaepernick appears on here, but please don’t be fooled like NFL teams and coaches might continue to be. He’s not going to be able to hold a starting position as an NFL quarterback. No, this isn’t predictive and isn’t trying to be. Fantasy points are the result of a combination of talent, situation, coaching and hundreds of other things. It’s merely a way of breaking down scoring to understand how a player has been doing it. ‘Consistency’ is neither a good or bad thing – you can be consistently “average”, when a few big scores here and there would be more beneficial. A strong team should be built on balance. The baselines aren’t arbitrary as they’re taken from the average scores required for top 12 and 24 scoring, but they could be heavily affected by slight tweaks in the scoring. I’m aware, but no measure would be perfect. Heck, people still use “1,000 yards” as a measure of successful seasons. Who picked 1,000 as the number? It’s 2017! Not everyone subscribes to the idea of the “three year window”, but if we’re projecting our own dynasty production over the next three, then it’s important to look at the previous three – that’s why I study this period. Any other questions or gripes, please do let me know in the comments section. As for the data, I think we can establish a few clear targets. Ben Roethlisberger (QB14) and Philip Rivers (QB16) are your clear veteran quarterback buys, after sliding down rankings in this past year. Rivers has almost identical numbers to Russell Wilson, and the last time I said that was about Carson Palmer before his outstanding 2015 campaign. If you’re able to pick up these two for a little cheaper than they should be, roll with the vets. While they are should continue to improve, you should always look to move young quarterbacks who may be in high demand, as replacements are much more easy to acquire at the position than anywhere else. Derek Carr (QB7) is being drafted higher than Matt Ryan (QB8), someone who has just come off an astounding season and at 31, may be close to reaching his peak. Four of the five players with the highest QB1% are over 33, and all started this outstanding part of their fantasy football careers between 30 and 36 years of age. Why sit patiently with a youngster when you could have it all now? Joe Flacco, the mystery man, doesn’t show up on any of these lists. But at QB30, I view him as the best of the bargains. Rookies tend to take their take to adjust, so let’s give Jared Goff and Carson Wentz a couple of seasons before we make a clear judgment either way. Now Tyrod Taylor’s ended up back in Buffalo, we could expect similar numbers. If that’s the case, he’s another cheap acquisition (QB18) and hasn’t even seen a fully healthy Sammy Watkins to boost them. Who stood out to you? How are you using the data, if at all? If you have any questions, please get in touch. As always, the full data set is below for your perusal. Enjoy. Creative and very interesting. As always, thank you. Thank you for reading! Appreciate the kind words. Great work as usual James. I went after Andrew Luck, Matt Ryan, and Marcus Mariota last offseason in part because of this series. This allowed me to get those consistent, in one way or another, producers at a nice discount.